Every day we’re busy fighting for universal access to optimal HIV treatment. It’s not business, it’s a matter of life and death. Which is why we’re glad to FINALLY have e-mail addresses that align with our culture and work. 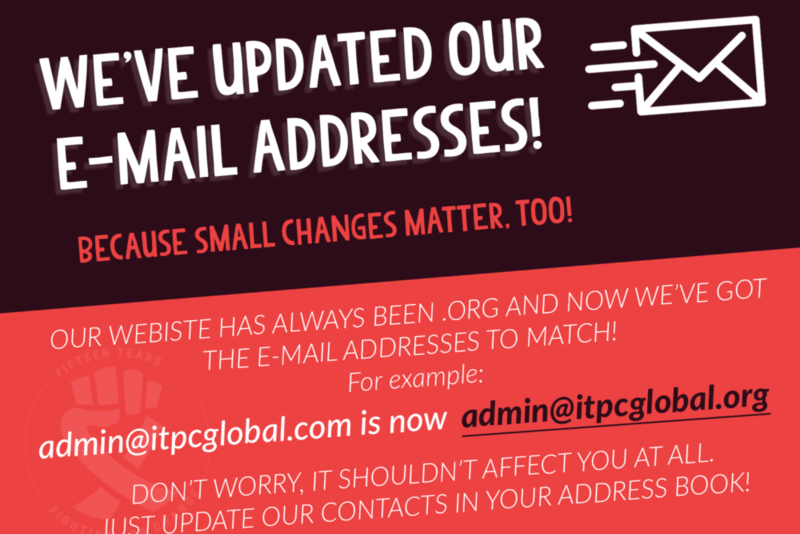 Our website has always been www.itpcglobal.org and now we’ve got the e-mail addresses to match! Doesn’t seem like that big of a deal, right? Probably not! But we’re still excited! This is just the first of many exciting changes we have planned in order to help us more effectively serve in the fight for universal access to optimal HIV treatment!